A side view of the structural model of the ExoMars rover, provided by ESA as part of the ESA/Roscosmos ExoMars mission. The blue panels represent the solar arrays. 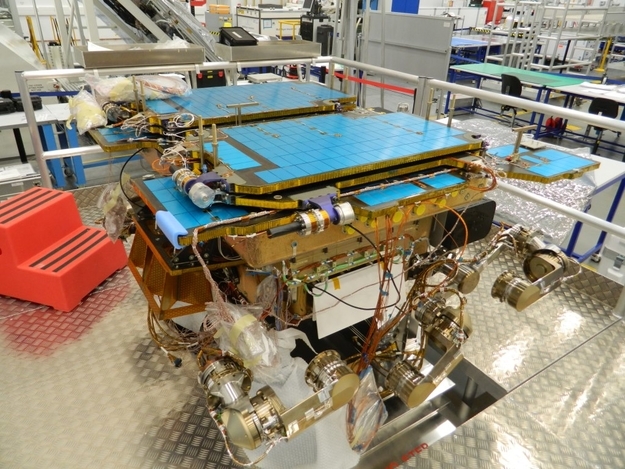 The two square-shaped objects at the bottom will host the rover's ground penetrating radar antennas, which will use radio waves to detect the subsurface structure down to five metres. This will enable the rover to detect an icy layer, for example, which will help guide where the drill will collect samples from.